Heather grew up a swimmer but was introduced to triathlon in 2007. After doing a couple of sprints, she retired and went to veterinary school where she continued doing road running races. Swayed by peer pressure during a Ragnar race in 2013, she signed up to volunteer for IMWI 2013 and later signed up for IMWI 2014. She has since completed 7 ironmans and hopes to complete 2 more this year. 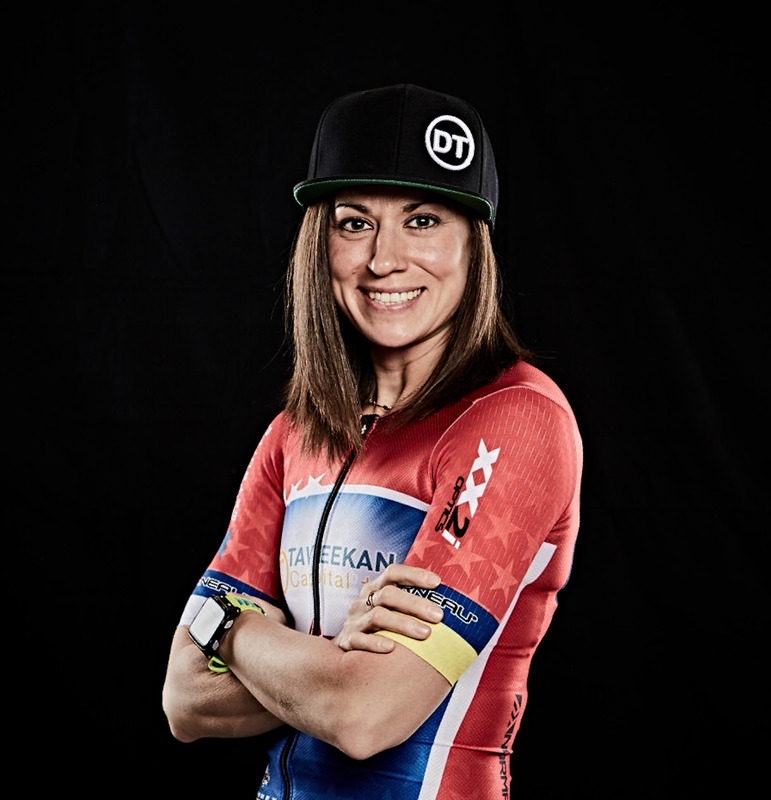 She loves endurance racing – the longer the better – and is known for getting lost during shorter races and training rides/runs. Originally from the flatlands of Illinois, she moved to Virginia in 2015 and has been a member of the Elite team for 3 years. Athletic Background: I swam as a young kid until I graduated from college, but began running in high school to hang with the cute boys. Goals for 2019: Don’t vomit on race day. PR IM run. Nickname: Please give me an awesome one. Favorite place to train: Hains Point or wherever Girls Mini Camp takes us! Relationship status: Co-habitating with a man, dog, and cat. Little known fact about me: Mildly obsessed with dinosaurs. More known fact about me: I like to dress up as a dinosaur at races. Give the T-Rex a high five when you see me! Favorite Result: IMMD 2017 – hardest I’ve ever fought for a finish and raised money for my friend’s child who sadly, has since passed away. Favorite thing when not swimming, biking or running: I love true crime and murder stories. I once led a team to a podium finish in Serial Killer Trivia. Favorite foods: Tacos. Pizza. Chocolate. Lobster. Other cool bits about me: I fix animals for a living. I love wine. I like the Nats even though they keep breaking my heart. I’m obsessed with reality cooking shows. 234 queries in 2.654 seconds.